Now a days, people are becoming conscious about their health and making extra efforts to maintain their health regime. Hitting the gym, aerobics, yoga or joining swimming classes has become the trend. Swimming if you talk about is the passion of a lot of people, while it has own benefits, helping people get well toned body, there is a whole bunch of people who simply love it for the fact that it helps them relax and provides the refreshing feeling. Shortage of time is making it difficult for people to hit the gym or attend swimming classes. For gym, people quite like our home gym ideas article, so is the case with swimming. 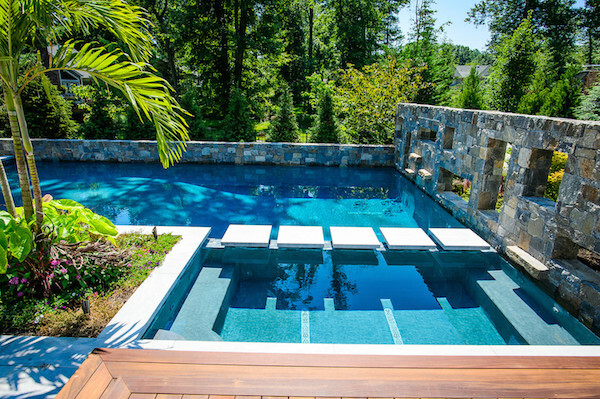 Modern homes today are offering areas where one can get their personal backyard swimming pool. 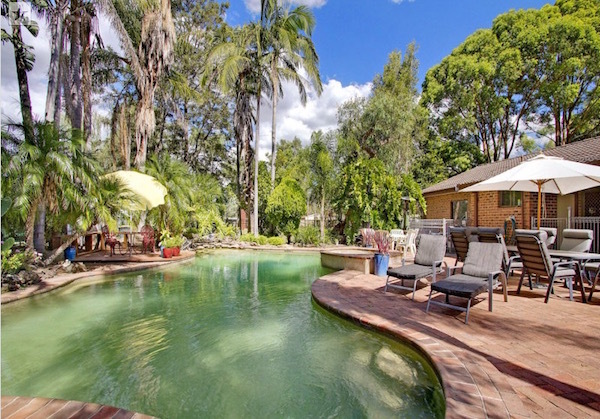 If you have recently shifted to the new home and planning to get the backyard pool, here we have compiled some superb and best backyard pool ideas to help you get the inspiration as to how you can go about getting one for your home. Use these refreshing backyard swimming pool design ideas to get one clean and contemporary pool in your backyard. If you get time only in the evening to come near pool, then the below idea will be perfect for you. 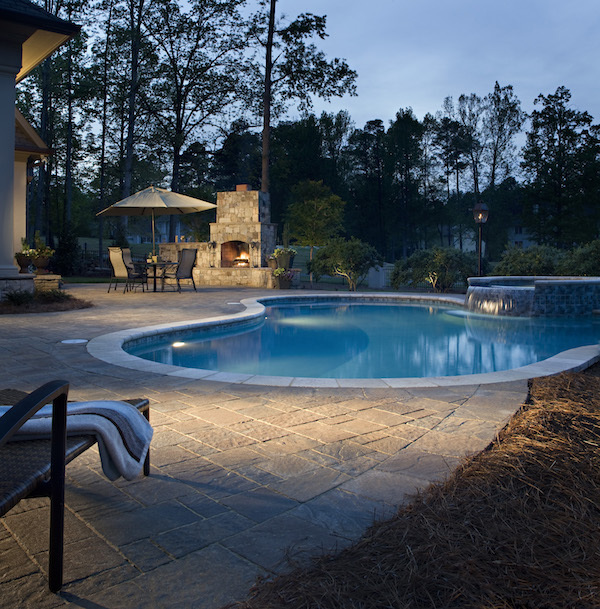 Design your backyard pool with some ambience LED lights and decorations that your pool will welcome you in evening with grace. 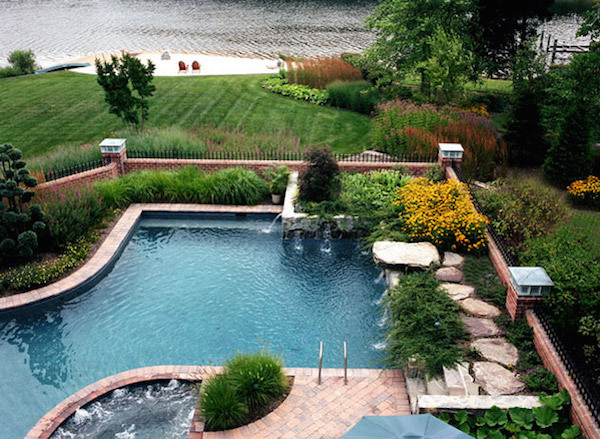 One of the best backyard pools we have seen while researching for the article. 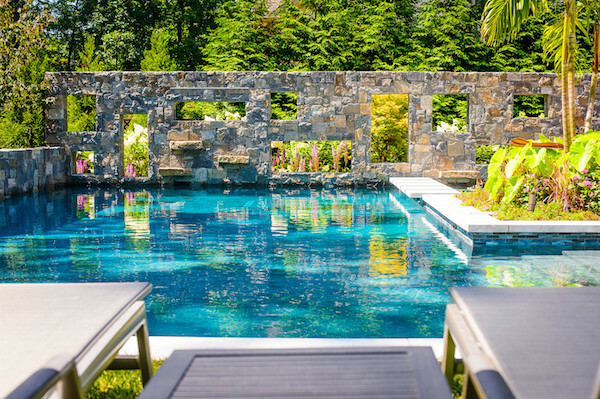 This is a dreamy custom pool with spa having floating stepping stones, large patio space, outdoor kitchen with bar seating and a space where you can relax and drink with your near and dear ones. And that’s how you decorate your backyard pool if you love modern plus natural feel. Seems like natural settings and boulders are in these days. Here’s another inspired backyard pool idea that you can pull yourself out. 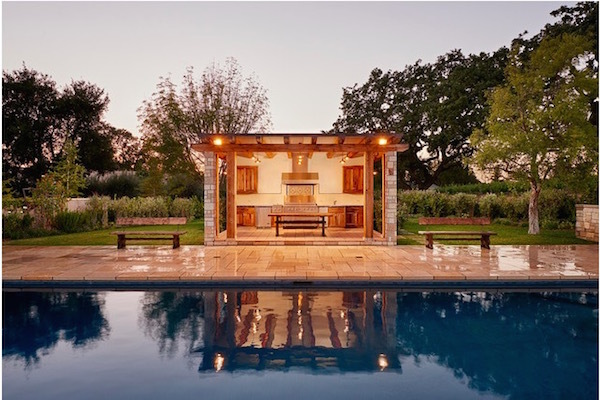 How about adding some rustic look to your backyard pool and a fabulous wooden themed seating area? How about decorating your backyard pool with some greenery and beach inspired decoration like sunledge with umbrella holder, bench seating and a beach entry. 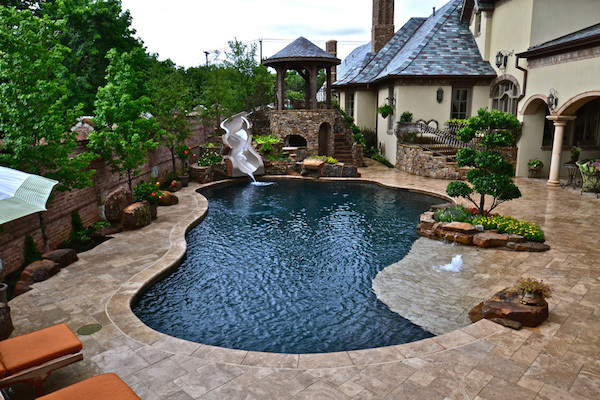 Nothing can beat when you design your backyard pool like the picture below. 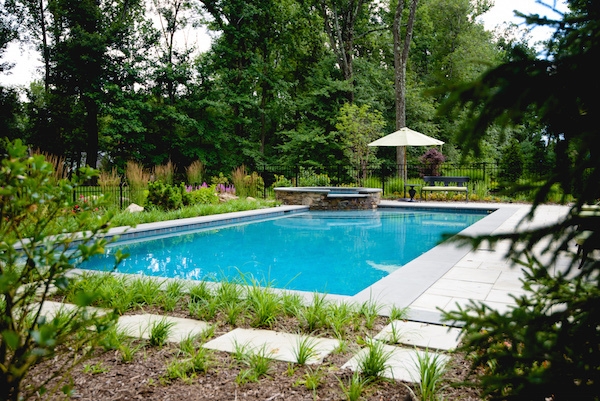 Add the oomph factor to your backyard pool with mixed flowers, natural boulders and green plants. 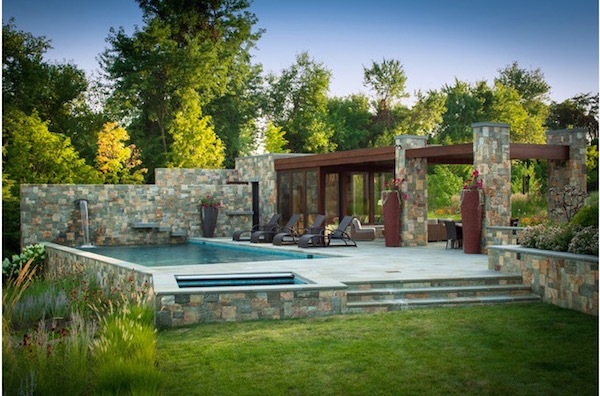 Another nature-inspired pool that you can decorate with fireplace and outdoor living room. A lovely pond shaped swimming pool in the backyard that is designed keeping a nature lover in mind. A perfect place where you can enjoy your morning breakfast or organize a barbeque for your neighbors. Adding a slide to give a water park look can increase your child’s enthusiasm automatically. Lush landscaping around your pool area could give an awesome soothing effect on your eyes everytime you jump into the pool. I’m a nature lover and frankly speaking, I love this backyard pool the most because it has all the flora and fauna around it. A perfect place for couples to spend some intimate moments. For those who love Caribbean beer and tropical settings. A simple but beautiful pool that has flower borders, a relaxing seating area to watch your kids playing in the pool is always a delight. 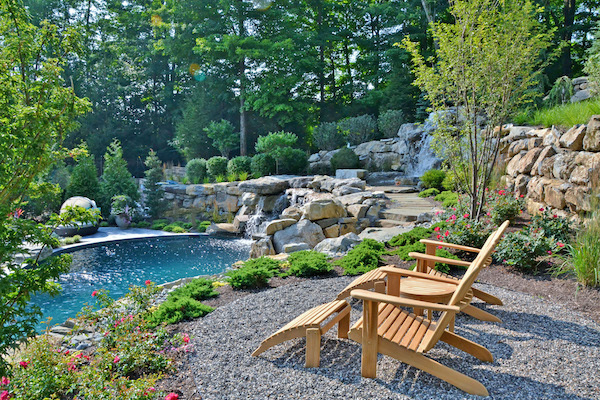 Decorate your backyard pool with stones, pebbles and small plants around the swimming pool. 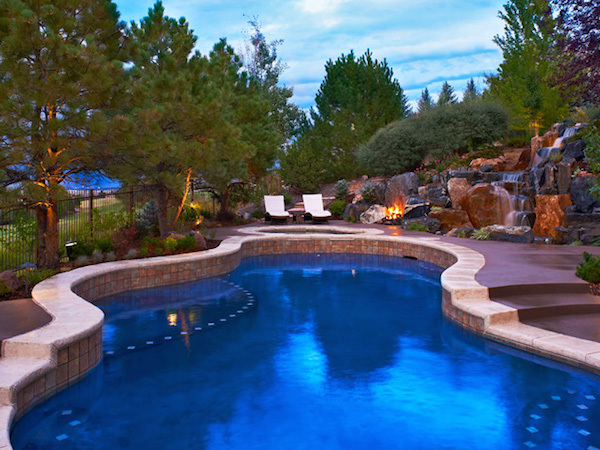 Perfects lights, a small fireplace and water body or waterfall – that’s all what you need while building backyard pool. 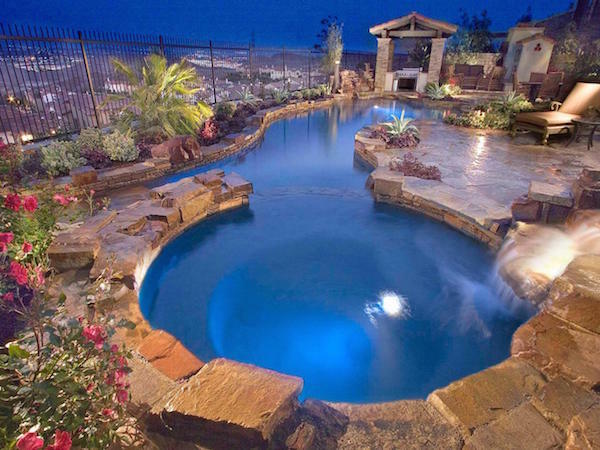 If you already have a backyard pool and want to share the idea with us all, why not leave your comment or connect to us by other means. We would love to add it to our compilation. 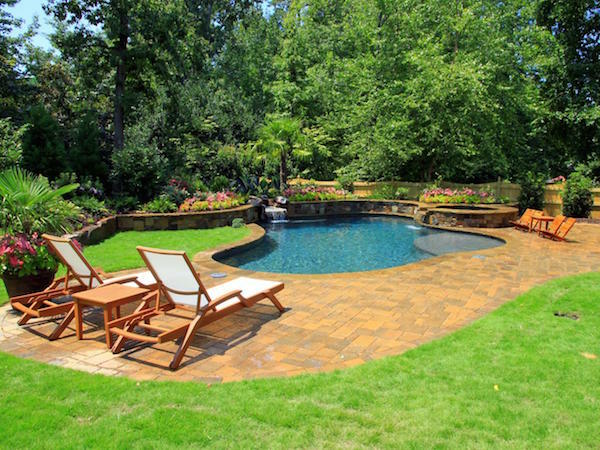 Also, don’t forget to leave your comments below letting us know as to which of these best backyard pool ideas you liked the most out of the ones pinned here. The tropical pools are awesome! The stone combines with the tropical plants really add a “wow” factor to these properties. 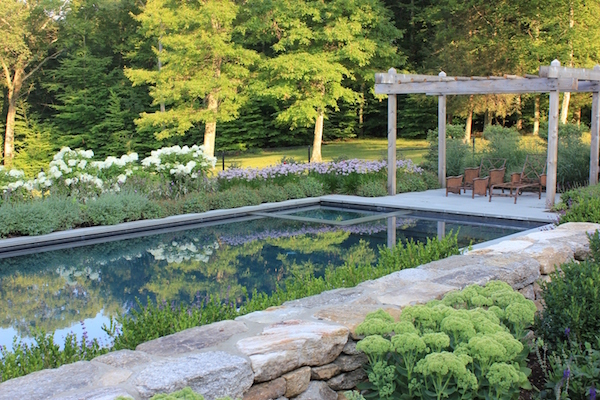 All of the pools have a really great structure and landscape. You can tell that a lot of time, effort, and planning went into each one. Thank you for this post!